Thanks for this quick fix, we really apreciate your effort inmaking our store run seamlessly. Installation and went very well and your programmers are huge professional and deserve a 5 star for their work. 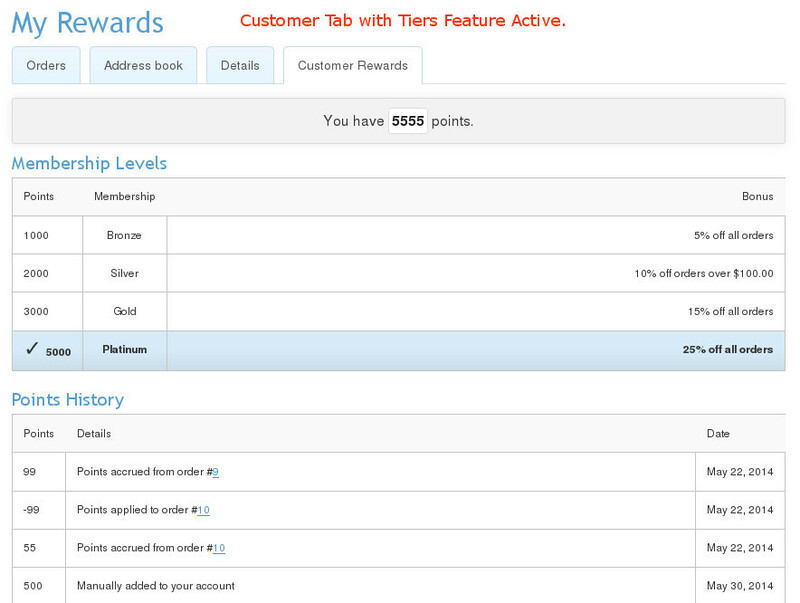 Our new Customer Rewards module is now 2 modules in one! 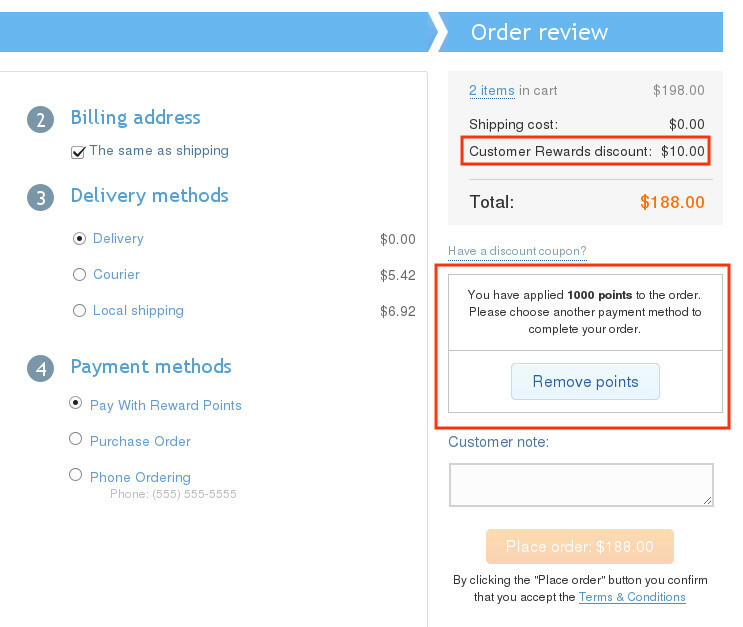 Choose between rewarding customers with Points Discounts or Tiered Discounts! 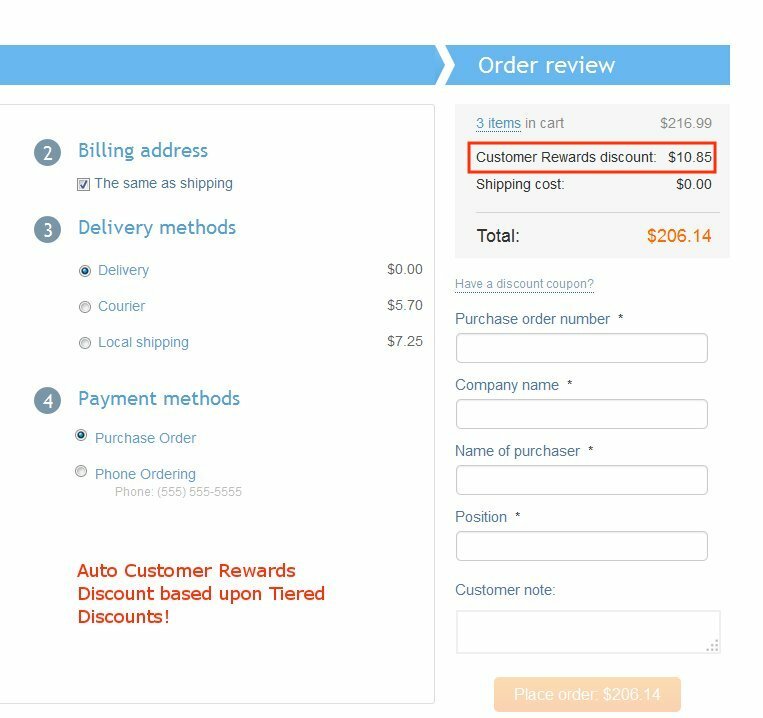 Like many Customer Rewards and Retention programs out there, merchants are now offering tiered discounts. 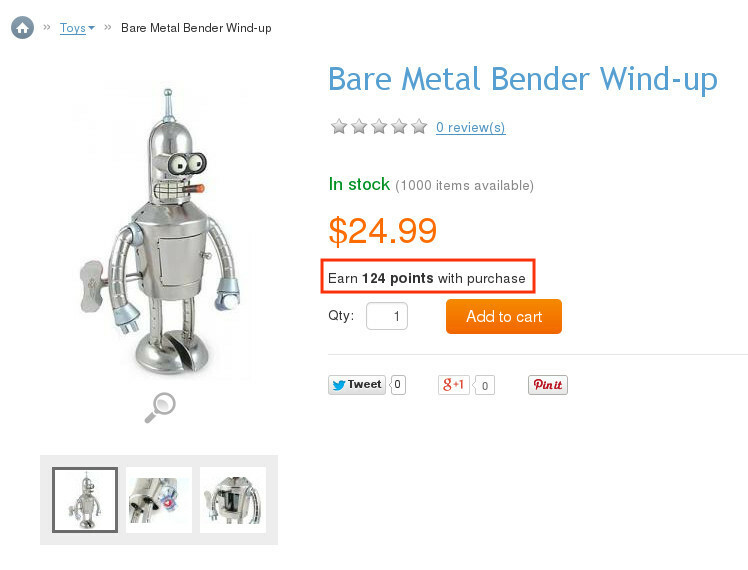 The number of accrued points over a customer's lifetime gives them a certain % discount on your store! 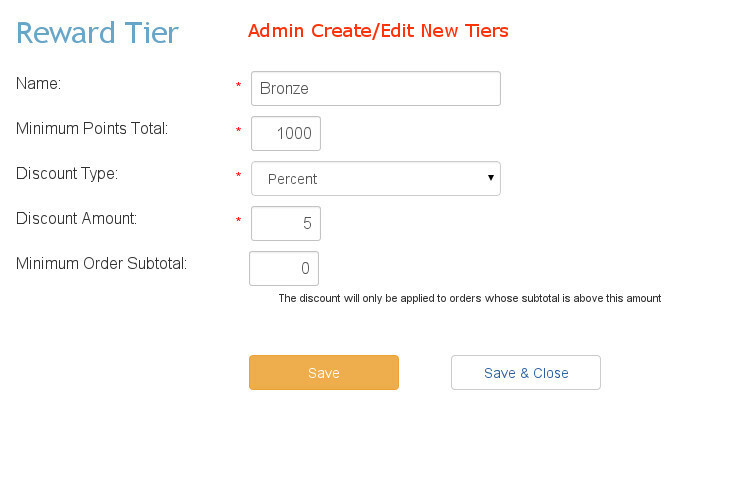 You have complete control over the tier levels and discounts at each tier. Encourage customers to keep coming back for more by giving them even deeper discounts the more they buy! Tiers can also have a minimum order subtotal before the discount applies! 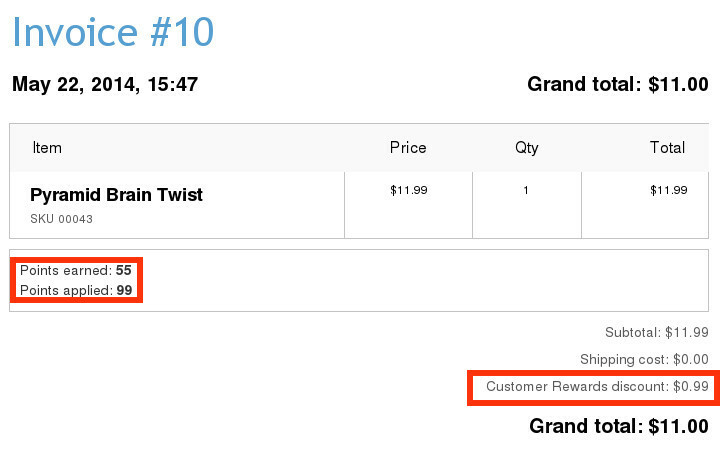 For example, if a customer is at the 10% discount tier, you can set the minimum order to be $50 to get 10% off! 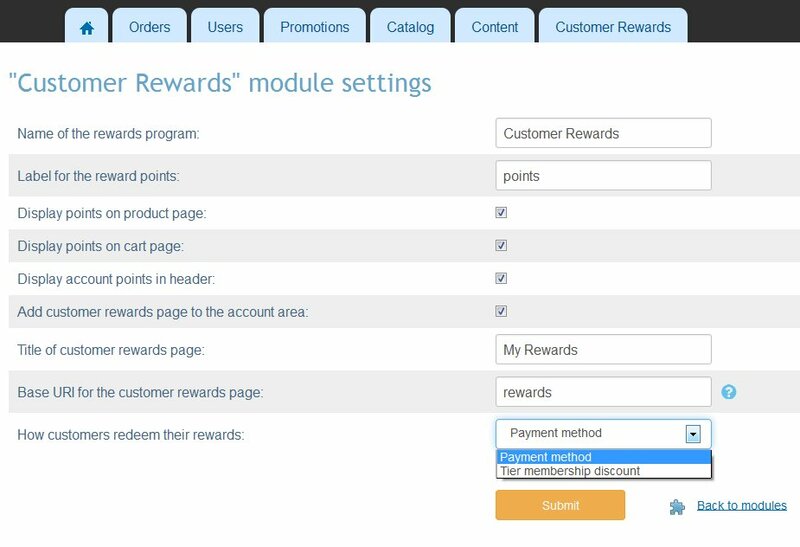 Keep the module in its classic mode and let your customers turn those reward points into discounts! 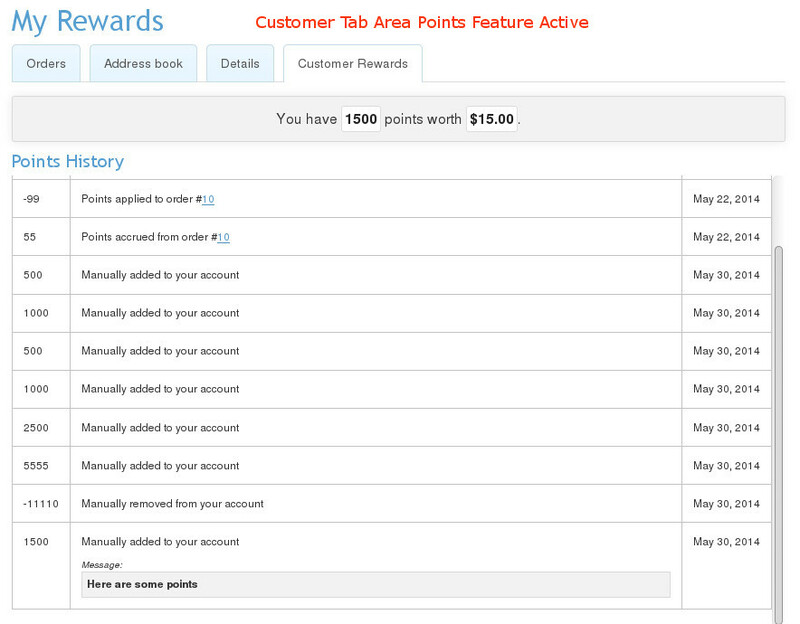 You control how many points your customers earn and what they are worth on redemption. 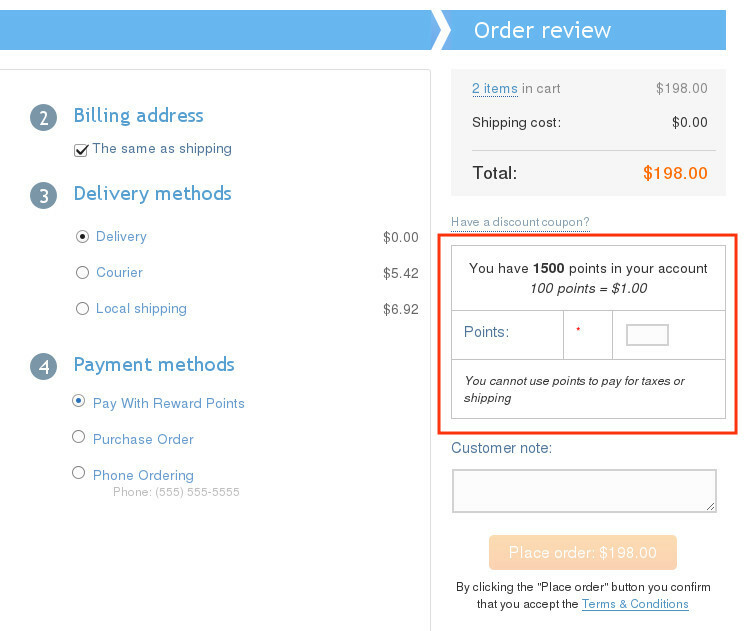 Pick which Payment status(es) receive points. 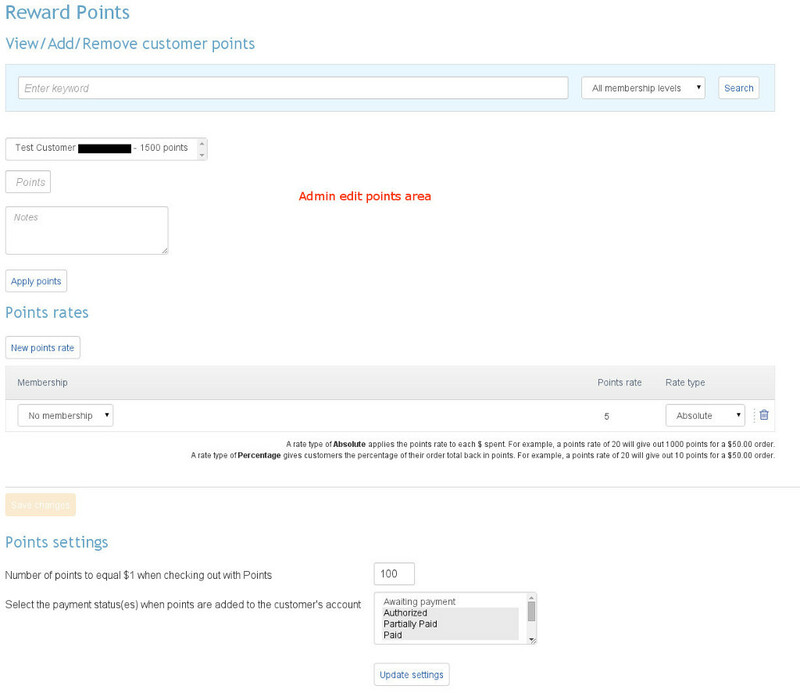 Change the 'Points' label in the admin! Now you can change your Reward Points Name easily! Change the Name of the Reward Points in the Admin! Give the Rewards System your own brand!